There was a time where I felt that every single band coming out of the UK was untouchable. So many great bands for so many years. Then things seemed to start quieting down over there. At least to me, it seemed like there weren't anywhere near the amount of killer bands as there once was. Over the recent years the pendulum is starting to swing back in the other direction and a new band that I like is popping up all of the time. The most recent of these bands is Hot Mass. They're boasting a pedigree of 'ex members of' when you read the descriptions of Nervous Tensions, but I have to admit that I never really was a huge fan of any of their other bands like The Arteries. 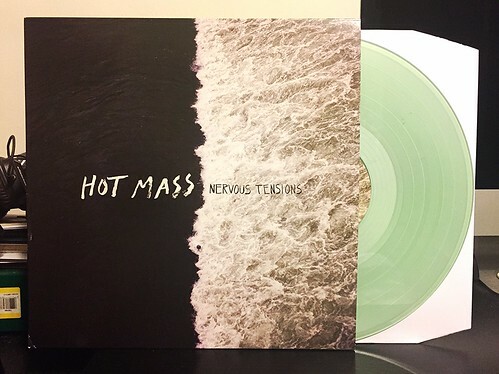 Hot Mass, on the other hand, is a band I have become an instant fan of. They're capturing a whirlwind of noisy punk energy and forcing it into catchy pop nuggets. I'm reminded a lot of the band Rumspringer, but with about 37% more chaos in each song. Early Spraynard might be another touchstone, but Hot Mass exceeds anything and everything that Spraynard ever put out.